Long Throws Test Bed nearing completion! 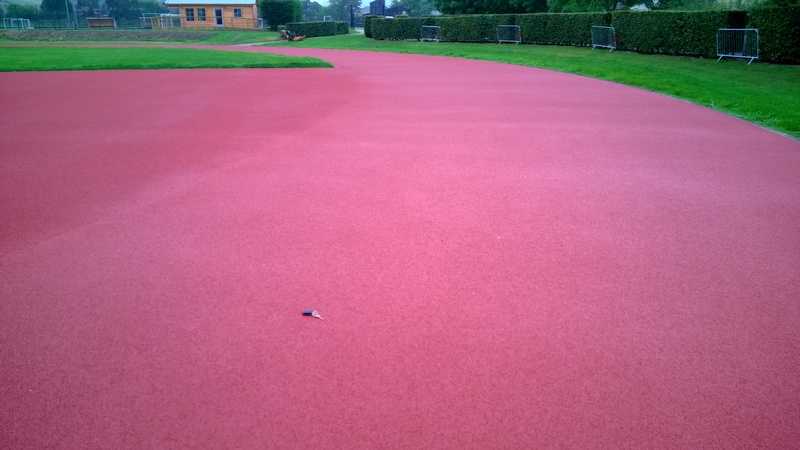 The long throws test bed has had the artificial turf laid and is in the process of being filled. The Greenfields woven MX carpet will be ready for testing next week to coincide with the opening of the Crownpoint Track which has just had the ex Commonwealth Games track laid. Test bed nearly ready for action - 7kg hammers will be slamming into the surface! 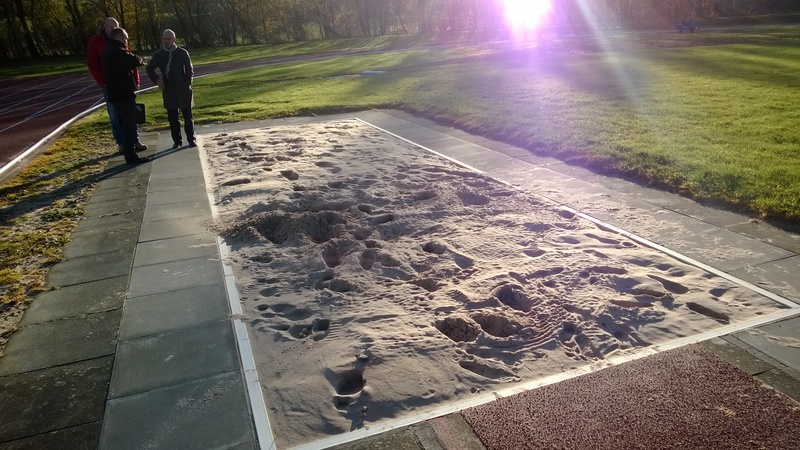 The project was funded by Glasgow Life, the IAF Foundation, UK Athletics, Greenfields and Sports Labs. 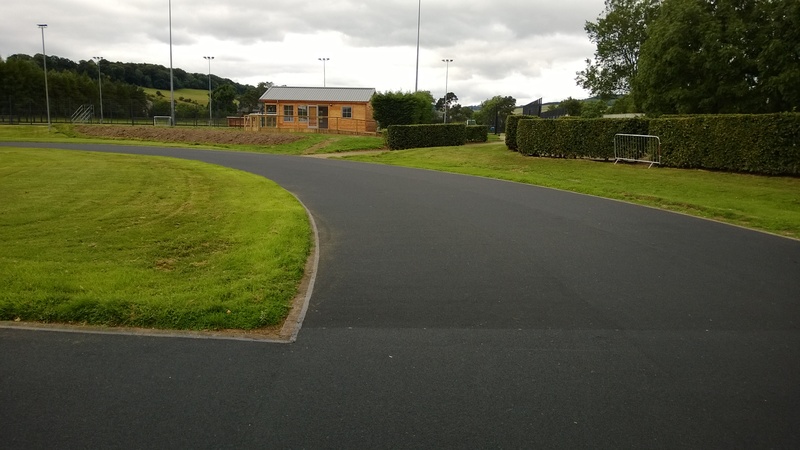 Tweedbank a strategically important track in the Border was originally opened The track was built in about 1984 and was upgraded from 6 to 8 lanes in 1996, constructed by Charles Lawerence Surfaces it has served the Borders athletics clubs very well over the years. 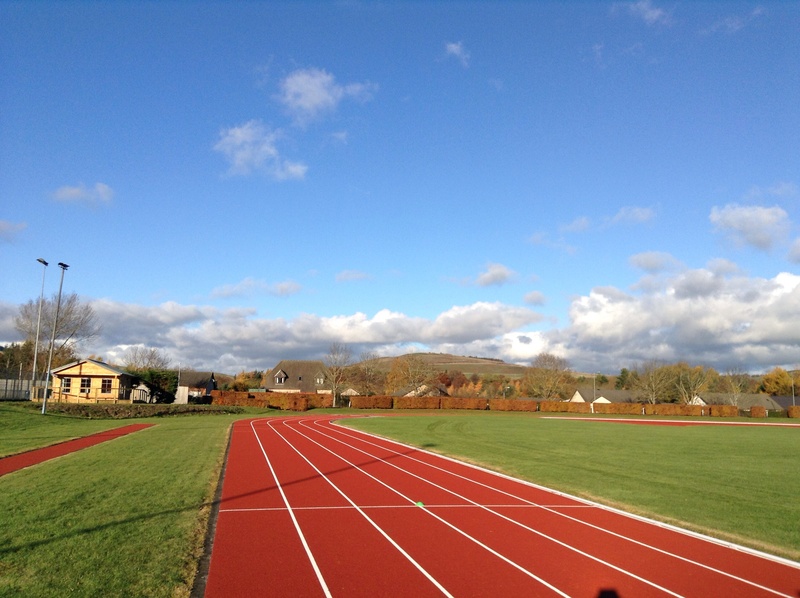 A quick make over 2 years ago did not prove to prolong the life of the facility therefore a decision was made to refurbish the track in May 2013. Working with Stuart Davidson a local architect Sports Labs prepared a specification for the works and sought tenders for the refurbishment for works to commence in May. The initial site investigation was very positive and was proven to be correct in that the track was originally built to a high standard. During the works the quality of the install was monitored by key stage inspections so throughout a regime of sampling and testing was exercised. The end result is now an upgrade on the potential for this track to host top Scottish events in the future. 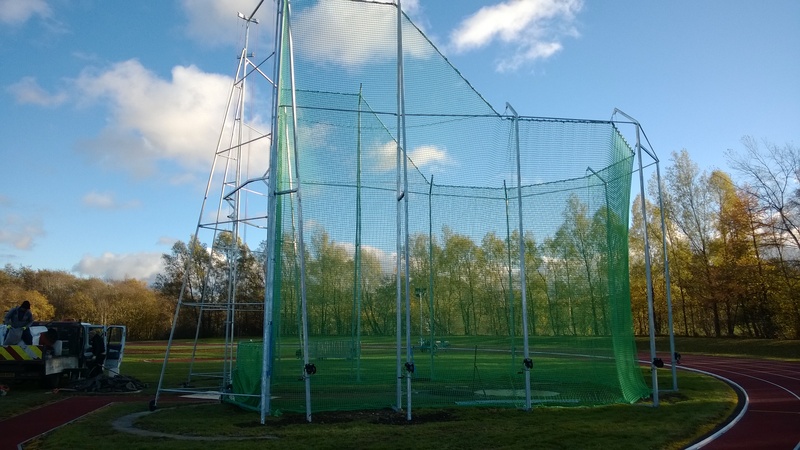 With Scotland hosting the 2014 Commonwealth Games Tweedbank will no doubt feature in warm up and training facilities for attending Nations.